Coffee pots and mugs across America are shivering in fear because morning’s favorite drink just got ripped! 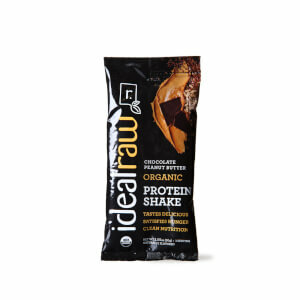 IdealRaw Mocha Protein offers that rich coffee bean and chocolatey taste, combined with the delicious plant-based protein you’ve grown to love from IdealRaw. Now you can dive into a soothing cup of mocha, while building that lean, tone muscle you’ve been working for. 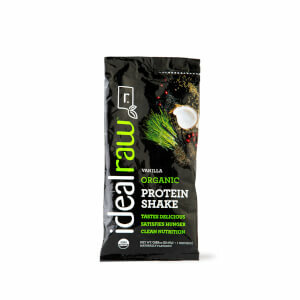 Whether you’re just getting to work, getting ready to hit the gym, or thinking about heading to your local coffee shop, IdealRaw Mocha Protein provides you with the flavor you crave, as well as the benefits of an organic protein powder. Not a fan of mocha! My sample of chocolate was much better. Lisa is a genius! I have searched through many proteins and have been left disappointed with every last one, but this one is amazing. The taste is soo yummy and smooth you can barley tell it has protein in it, I literally licked my cup dry lol. The price is wonderful and the ingredients are too!! So thankful I found it. I love the mocha flavor so much and it blends in with my smoothies so well. No nasty protein taste here. The mocha protein powder is pretty good, not too chalky or protein tasting. I wasn't super excited about it and have to add things to it to make it yummy. It's pretty good. My favorites protein is the mocha and the peanut butter both taste great! 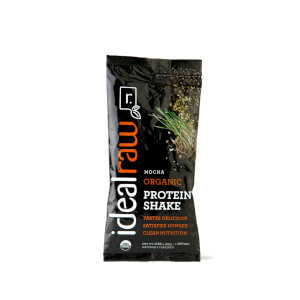 I have a smoothie every morning for the last 30 plus years and ideal raw is my favorite I ever had! I would definitely recommend buying the protein! The best part is its raw and low sugar is it mixes really well and tast excellent! I mix mocha with half a frozen banana and unsweetened almond milk! Mocha is my favorite flavor and is sometimes hard to come by. Chocolate works also. Both great tasting “meals”. I have tried multiple whey protein powders and couldn't get past the horrible taste no matter what flavor it was. I decided to try idealraws plant based and wow what a difference in taste. It mixes so we'll, no froth, no horrible taste that makes you gag. I can't do shakes, so I actually add mine into my coffee like a creamer, it's delicious. 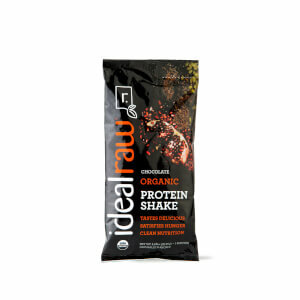 I had been shopping around for a good protein shake and came across this website. I decided to give it a try based on its vegan content and low sugar count. I noticed that a lot of protein shakes were too sweet for my taste and did not taste good with just water. THIS ONE TOTALLY TASTES GREAT WITH WATER! I AM SO GREATFUL FOR THIS PRODUCT! I love this flavor! It mixes easily with coconut milk and isn't grainy or gritty. If you love coffee or chocolate, you'll enjoy this flavor, especially after an early morning workout.